Congratulations to the winners at Forest Oaks and the superb scores across all Flights. Please read the Forest Oaks story and review the full leaderboard at the bottom to see how you fared against your flight competitors. Don't forget to share with your non-tour golfing buddies to remind them of the fun you are having every week. The season continues as the tour returns to the Raleigh area to play one of the best private courses in the area. Plus with the season 1st Major the next week, this is a good time to schedule to play at Devils Ridge and Bryan Park which will be a sell-out for sure. Make sure you review the rules question this week on the difference between water hazards (yellow stakes) and lateral water hazard (red stakes). There is a difference and if you do it wrong you can be penalized. Please read and if you have questions, ask. Don’t miss playing this private course in Holly Springs. Devil’s Ridge Country Club is always in pristine condition, is a great course to play and one that can yield some very low scores. It was built on rolling terrain with convex fairways (seldom a level lie but balls funnel to middle of the fairway). The course is lined with towering hardwoods, and the elevated greens have moderate undulations and can be fast but true. The signature hole is #17, a 388-yard, par 4, with an elevated green that has a twenty-foot drop off the back side. 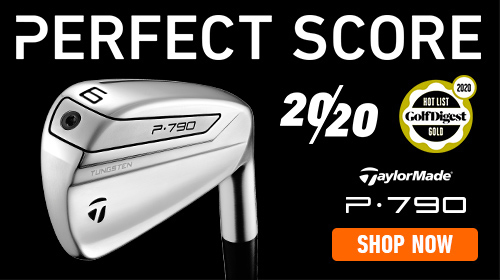 Make sure you select the correct club for your approach. This is a perennial favorite and always bring out the best in your tournament round. 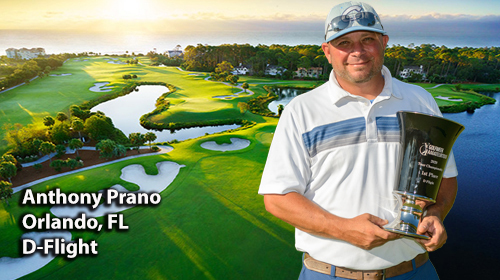 What could be better than winning a "Skin" in the weekly cash game and getting the closest-to-the-pin prize on the same hole in a GolfWeek Amateur Golf Tour event? 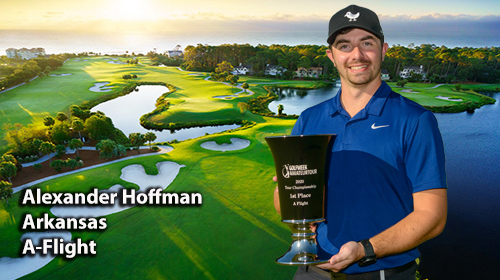 How about doing it with your 1st career hole-in-one in your Tour debut event? That's exactly what Salisbury's Ron Richard pulled off today on the 157 yard, par-3, 8th hole at Forest Oaks Country Club. He used his trusty 6-iron to accomplish the feat. Upon leaving the hole he stated: "I'm still shaking from that. It's gonna be tough to play my next shot". 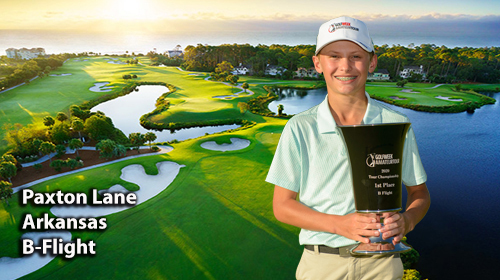 "We've had a bunch of 'aces' through the years on-Tour", said Tour Director Bruce Hallenbeck, "but never one right out of the gate like this". Richard's feat somewhat overshadowed the best Championship Flight effort of the young season as Winston-Salem's Chris Cassetta posted a 2-under 70 to cruise to a 5 stroke win over High Point's Dan Holland. 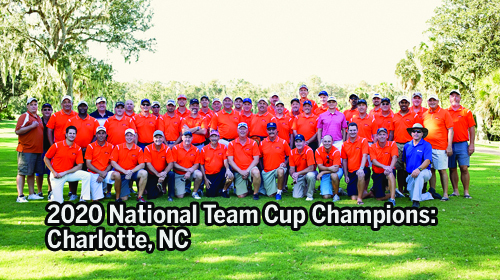 As a matter of fact, low scores were the norm at the top of each flight as over 110 members competed in this event. Mike Meadows of Advance shot a 75 to edge Laurinburg's Robin Neverve by a single swing in the A Flight. The margin of victory in the B Flight was the same as in "A" - 1 stroke, with John Biggs of Mayodan besting Terry Evans of Apex and Raleigh's Al Reams. The C Flight was even tighter as Asheboro's Mark Lawson and Charlotte's John Torres tied at 87 after regulation and headed out for a sudden death playoff. Torres emerged as the winner with a par. 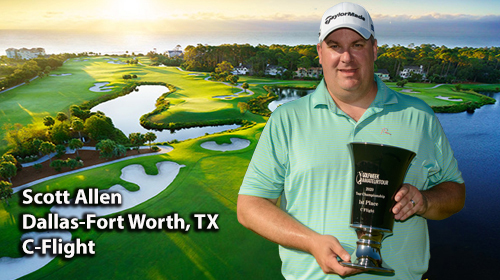 Other than in the Championship Flight, the only flight winner to enjoy a comfortable margin of victory was Ken White of Greensboro in the D flight, whose 91 was 6 strokes clear of both Raven, VA's Greg Dotson and Fayetteville's George Greer. 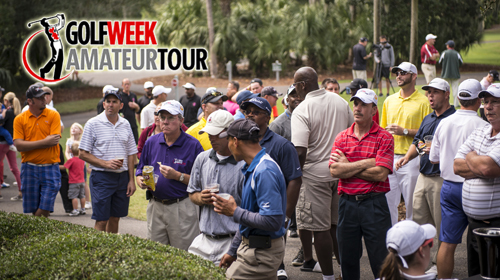 The next GolfWeek Tour event is Saturday, March 24 at Devils Ridge Country Club in Holly Springs. Any amateur golfer interested in playing in any Tour event can call Hallenbeck at 336-495-6556, or by emailing him at behgolf@aol.com. A 2012 APPLICATION IS REQUIRED. Because of our association with Golfweek Magazine as our Title Sponsor, it will be necessary for all members in 2012 to submit an application on-line through our website - even if you completed an application in past years! This will get you "in-the-loop" with our Tour HQ computer and ensure that all your stats will be correctly assigned to you after every event in which you compete. So please just take a minute, go to the website and complete your application as soon as possible. Sometimes there is confusion concerning the rule that governs the treatment of a ball in a water hazard (including lateral water hazard). Let's try to simplify it. To begin, understand that an area that is designated a water hazard does not have to actually have water in it to fall under the definition but it must have stakes or lines that define the margin of the hazard. There are two designations of water hazards: a (regular) water hazard and a lateral water hazard. A water hazard is defined by yellow stakes and/or yellow painted lines on the ground. Normally, this type of hazard is one you must hit over to reach the hole like a creek that crosses the fairway at 90 degrees. If your ball is lost in or not playable out of a water hazard, the Rules offer you two options for relief under penalty of one stroke. The first option is to re-hit from the previous spot. The second option is to drop a ball anywhere along an imaginary line and play from there. The orientation of this imaginary line is often misunderstood. IMPORTANT: When you hit a ball into a hazard (water or lateral) you should immediately note where it last crossed the margin of that hazard for this is the point you will work with for all options other than re-hitting from the spot of your previous stroke. directly below the hole you made in the glass is the point on the ground that you are going to use for your relief options other than replaying the stroke from the previous spot. need to reference. It never matters where it first crossed the hazard margin, but where it last crosses. You must remember this, it is necessary to correctly take relief under R26-1. Now, hopefully you understand the meaning of the phrase "last crossed the margin" of the hazard because we will need to reference this point for three different relief options. I said the second option for a water hazard uses an imaginary line. In order to draw any line we need two points. The first point, or anchor for the line is the hole (use the flagstick if you cannot see the hole). 1. I hit my ball into the hazard and I immediately take notice where it last broke the plane of the hazard margin. 2. I line that point up with the hole. 3. I now walk backwards away from the hazard keeping that point on the margin directly between me and the hole. I can retreat as far as I want and drop the ball. I can drop it in the rough right near the hazard or in the fairway if that's where the extension of my line takes me. I can even drop in a bunker or another water hazard. I could also continue back, crossing over a second hazard and drop the ball. The point is, I can go back along this line as far as I need to for my drop. (i.e., behind the hazard) to drop a ball. Picture number 12 at the Masters: from the tee, the players must hit a ball over Rae's Creek to reach the green. If they come up short and dump one in the creek, where are they permitted to drop? Because this is marked as yellow, back in the fairway. They must still successfully negotiate the creek. when they play the ball out, do so with too much force and hit it back into Rae's Creek from behind the green. The requirement to keep the point the ball last crossed the margin between them and the hole still applies and they join everybody else and drop back in the fairway for their 4th stroke. When both stakes and lines are present, the stakes identify the hazard and the lines define the hazard margin. What this means is, if you encounter both stakes and lines around a hazard, treat the stake like a sign that says "here is a hazard". It has no meaning beyond a visual cue. The painted line becomes your reference point for all the measuring, reference points, etc. · The painted lines often fade away over time. If you can no longer see the line, you must then reference just the stakes. There should be a sufficient number of stakes so the margin of the hazard is adequately defined along the natural boundaries of a hazard. The stakes themselves are inside the hazard. So to determine the precise margins using only stakes, sight along the fairway side of any two stakes at ground level. · If the lines and stakes are missing, the player must reference the naturalboundaries of the hazard to define the margin. · A ball touching the margin of a hazard is considered "in" the hazard. So if it touches the line, consider it in the hazard. Understand the difference between a lateral water hazard versus a water hazard. When proceeding under this Rule, the player may lift and clean or substitute his ball.